Davy, after 34 years of service in the public schools in Arkansas, the District of Columbia, and Maryland, came to Hampton University in 1994. Dr. Davy explains her philosophy of teaching in this manner: "I embrace taking a student from where he is to where he would not go himself. My primary job is to provide exposure and experience. I watch to see what students will get into, then all I have to do is guide them and let that take shape." 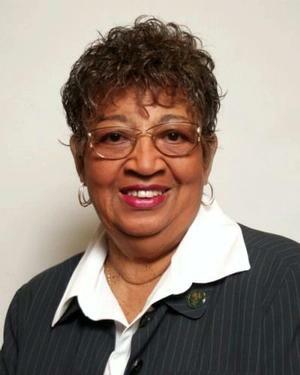 Prior to her post at HU, Dr. Davy spent seven years at Benedict College in Columbia, SC and served as visiting lecturer at the University of Nigeria in 1993. Although the concept of Honors College was established at HU in 1986, it was under her leadership that the requirements and structure of the concept were put into action. The Honors College curriculum was developed, seminars were initiated, and rites and rituals for induction and graduation were instituted. An eternal optimist, she had no idea the concept presented in 1986 would blossom as it has into a full-fledged component of the University. Dr. Davy, in addition to directing the Honors College program, is the founder and executive director of the National W. E. B. Du Bois Honor Society. Chartered March 1, 2001, the Du Bois Honor Society is a program for pre-college students that recognizes, encourages, and promotes scholastic achievement, leadership development, and active involvement in positive community activities that solidly promote life-long learning skills. She earned a Bachelor's degree from Philander Smith College, a Master's from the University of Maryland and a Doctorate from Vanderbilt University. Dr. Davy has earned an esteemed title of Endowed University Professor.